This is not related to Support or IT, but it is related to Social Media. The net is buzzing about MySpace Music today! 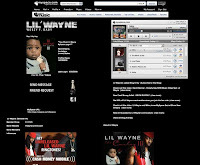 MySpace Music allows users to stream virtually any song ever published for free and is sponsored and supported by the Big 4 Labels. All four major labels - Universal, Warner, Sony and EMI - are on board (EMI was a last minute addition). Visitors can check out the site going live tonight at 12am Eastern Time at http://music.myspace.com/. Users can also create playlists that contain up to 100 songs and share them with others. Any song can also be downloaded in non-DRM MP3 format, for a fee, from Amazon’s music download service. And if you want that song as a ringtone, you can get it as well via Jamster. This is great for end users, artists, and the Internet alike. But what is in it for the labels? Aside from a sale of Mp3s and Ringtones, and some exposure of their catalog - I am not sure. It's still not clear how else they will be compensated. For one, it would appear that they are certainly now stock owners of My Space which is currently valued at $2 Million Dollars. However, it does not appear that a pay for stream model is being provided. Usually streaming services pay $.002 cents per stream. In which I personally think it is nonsense anyway. So will MySpace also pay them this fee as millions of users stream their artists music? Or are labels simply seeking a new investment opportunity. We shall soon see. In the last 3 weeks at my company, the concept of using Twitter in a Support Environment has come up dozens of times. Despite the discussions, there are still many organizations that are still unsure on how to utilize this technology to support and service their customers. Comcast - who has a pretty negative history for Customer Service is turning this around by utilizing Twitter on their Twitter site called "ComCast Cares". They are using it to speak to their customers on support issue inquiries and for alert notifications. The numbers on the site speaks for itself. They currently have 3,658 followers, with over 14,000 updates to the site in just a couple of months. In addition, their customers are now turning into raving fans of ComCast. The secret to the Twitter success here is not the technology, but the actual team that runs the site and interfaces with it's customers on a daily basis. The man behind it all is a gentleman by the name of Frank Eliason and his team of Social Media Support reps. Frank was profiled by the NY Times and USA Today. Frank is the Comcast Cares Cares Twitter guy and right, now, that is a hot story. It is hot because a cable company is generating a chorus of happy customer voices a cable company that has an historic record of finishing at or near the bottom of many customer satisfaction survey rankings. When you visit the site you can see how active it is and how Frank tweets with his customers often providing resolution and guidance on specific issues their customers have. When Frank can not resolve the case over a series of tweets, Frank is directing customers to email the support teams at We_Can_Help@cable.comcast.com. Nearly every 5 minutes during the business day, the site is updated with a new tweet, and Frank sees to it that customer issues stay resolved. While I am not 100% sure on what incentive Frank has to go above the normal level of service, he is sure changing the perception around of his company's Customer Service Program. Despite the fact that Frank is not a support tech makes it an even more compelling story. Frank is a manager who truly supports his customer base and I would say that he does not see Customer Service as some business strategy like most Executives would see it these days. Instead, I would say he views it as a lifestyle and commitment in which he executes daily. 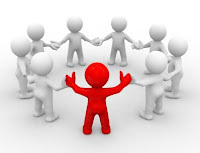 - There is a proven place for Social Technologies in a Support Environment. - Adapting Technology is only half the battle, having great people behind that enabling technology makes all the difference. - A Company can improve or increase their Customer Satisfaction by committing themselves to Social Tools and Web 2.0 Strategy. What are your thoughts about this business case study? Last week there was a Web 2.0 Expo in New York City and while I certainly was not able to attend due to it's massive $1000.00 fee, I was able to get my hands on some of the presentations included in the Conference. The zip file contains information relevant to any industry. Whether your in Marketing, Sales, or Support - many of the items here are certainly worth the download especially if you are considering deploying a Social Strategy in your organization.